A frightening moment was caught on camera near Denver. A 12-year-old boy survived an avalanche in the French Alps after he was buried for 40 minutes. He was dragged at least 110 yards by the force of the avalanche. I "kind of ran out of oxygen and passed out" under the snow, says Evan Huck. Two were injured by the wall of snow. A snowboarder was found dead earlier as a blizzard and fierce winds struck the region. The avalanche was human-triggered, officials said. The avalanche happened after a sheet of snow broke off above the slope following several days of heavy snowfall. An avalanche in April killed 19 mountaineers. 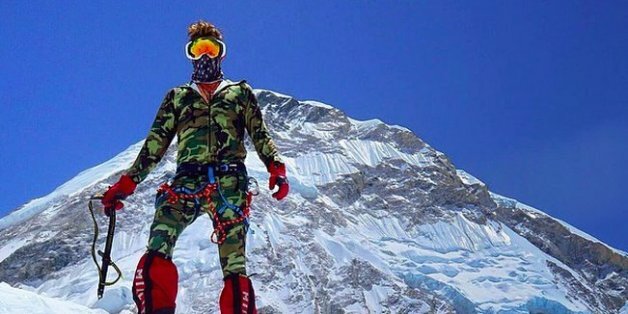 Garrett Madison has already checked "climb Earth's tallest mountain" off of his bucket list not once, but six times. Still, there's nothing quite like getting caught atop Everest as the ground shakes beneath you. Madison recounts April 25, 2015, the day Nepal was struck by a 7.8M earthquake. The helicopter buries its skids into a knife ridge no wider than a snowboard is long. This first attempt marks the landing zone high up in Alaska's Chilkat Range, north of Haines, Alaska, and not far from the Canadian border. On April 10th, after an unsuccessful attempt at climbing Mt. Everest last year, I was back at base camp to try again. I was excited, determined, and hopeful that I would finally fulfill my dream of standing on the top of the world. However, safety on the mountain goes beyond the basics of the Responsibility Code. There are as many aspects to safety while skiing and snowboarding as there are types of snow. Here are a few ways to be safe on the slopes this winter. When young people lose their lives in sports, it is a bracing slap in the face about why we are involved in sports and a reminder about what is really important (and it's not the results!). Looking back on it now, Hopper said Monday with a sigh, the two men -- who had both taken avalanche training courses -- missed a key warning sign about the avalanche danger. I don't know if you call it a "ski-brary" or a "librare-ski," but here are three books that we'd recommend adding to that dusty old stack of tattered ski literature sitting on your corner shelf. Movie Review: Force Majeure Who Are You, Exactly? Everyone, at some point, wonders how they would react to a split-second emergency. Fight or flight? Leap into action or race for the exit? Or simply crumble? I was surprised, in both reading the book and speaking with Ken, how many parallels there were with his experience in the mountains and my coming home from war and the role mountains have played in my welcoming home. Nearly six months after the deadly avalanche on Mount Everest, 12 people were found dead while more are still missing following a blizzard and avalanche in Nepal’s mountainous north.